Wendy's 3-D Cats: HAPPY BIRTHDAY TO DOMINO! 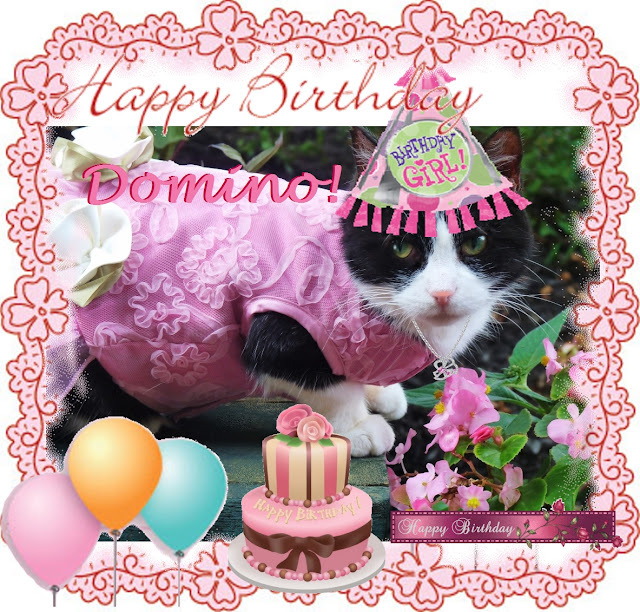 Today is September 1st, and it's Domino's birthday! She doesn't like to reveal her age because she's dating a younger mancat, but in reality she seems ageless as always. 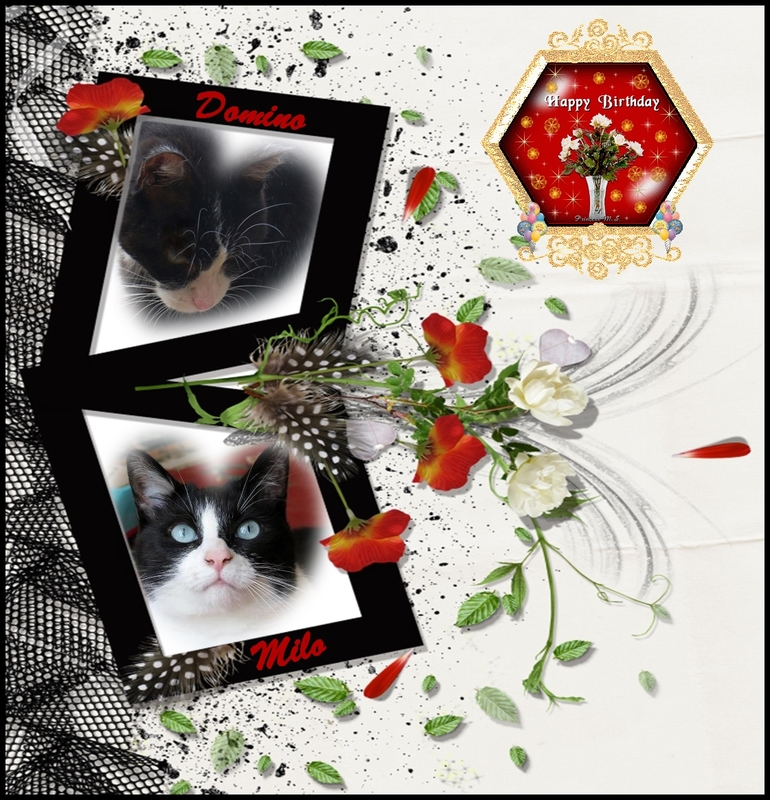 After celebrating her birthday with us, Domino is winging her way to The Cotswolds in England to dine and dance with her true love, Milo. Don't tell her, but Milo has something rather special planned for her afterwards as well. It looks like Domino's calendar for September 1st is already filled -- with love! So hats off to Domino on her special day!